In the field of information security, the CISSP (Certified Information Systems Security Professional) training in Bangalore is considered the gold standard. The CISSP Certification Training in Bangalore will train you to become an information assurance professional who can cope with all aspects of IT security, including design, architecture, controls, and management. This training is aligned with the (ISC)² CBK 2018 requirements. Begin with your CISSP training in Bangalore today! Being aligned with the (ISC)² CBK 2015 requirements, Simplilearn’s CISSP certification training in Bangalore will help you pass the exam in the first attempt. The CISSP training course instructs you on the industry’s latest best practices. With this certification, you will learn to design, build, and maintain a secure business environment for your organization using globally approved Information Security standards. There is a high demand for IT security professionals due to a revolutionary increase in the security breaches being reported. Frost and Sullivan state that by the year 2019, there will be a shortage of 1.5 million security professionals. Defining the architecture, design, and management of the security in your organization. The capability to pass the CISSP certification exam by gaining relevant knowledge and skills. 30 CPEs, which is required to take up the CISSP certification exam. Developing a working knowledge in the 8 domains as advised by the CISSP Common Book of Knowledge, 2015.
Who should take the CISSP training in Bangalore? This CISSP training course in Bangalore does not have any projects. Organizations are forced to greatly invest in IT security due to increased worldwide incidents of information security breaches. This gives rise to a boom in the hiring of information security professionals. What is the average salary for a Information Security Engineer in Bangalore? The average salary of the Information Security Engineers in Bangalore, according to PayScale is Rs 1,751,580 a year. Individuals who have undergone a CISSP®- Certified Information Systems Security Professional program will have an increased earning potential. What are other types of roles within the Cyber Security space available in Bangalore? Which companies are hiring Information Security Engineers in Bangalore? In order to get certified, you must clear the CISSP exam. The CISSP exam is administered at Pearson VUE Testing centers around the world and is a computer-based test (CBT). To advance within their current Information Security careers, professionals who intend to acquire credibility and mobility will benefit from the CISSP training. You are required to have at least 5 years of recent full-time professional work experience in 2 or more of the 8 domains of the CISSP – CBK 2018 to claim the CISSP certificate from ISC2. However, an ISC2 associate title will be awarded even if you do not have the required 5 years of experience yet, which will then be replaced with the CISSP certificate after you gain and submit proof of your experience. One complete batch must be attended. With a minimum score of 60%, complete one simulation test. At least 85% of the course must be completed. For the CISSP Certification examination, the passing score is 700. By accreditation, review the exam availability. Visit the Pearson VUE website, review the Pearson VUE NDA and create an account. Select the appropriate location of the test center. Yes, for the exam application process, you will be provided with assistance. For more information, you can contact the Help and Support. A candidate gets a single attempt to pass the CISSP exam. The CISSP exam results will arrive in a span of 2-4 weeks. The validity of the CISSP Certification is three years. The CISSP exam can be retaken after 30 days if you don’t pass it the first time. Applying for re-evaluation will not be possible if you fail. In the event you don’t clear your event, feel free to apply again for the re-examination 30 days later. About 4-6 weeks after you recieve your exam results via email, the certification will be mailed to you. With a hands-on learning approach and Global Learning Framework, the CISSP certification training helps your pass the exams in your first attempt, which not only gives you the confidence to pass the exam but also helps you retain knowledge beyond the exam. You can review the recording of each class provided by Simplilearn before attending the next session. Also, access to as many as 15 sessions for 90 days will be given to you with the Flexi-pass by Simplilearn. The cost of the CISSP exam voucher will be $699. No, the course fee does not include the CISSP exam fee. You can schedule your exam directly using the link- www.pearsonvue.com as mentioned in the steps above. The Exam Fee is included only for the regions of America, Canada, and Europe. Faculty is Excellent, Coordination/Assistance from the coordinator is highly appreciated. Highly-qualified, CISSP-certified trainers with more than 16 years of domain experience will conduct the CISSP training in Bangalore. What certification will I receive after completing the CISSP training in Bangalore? You will be awarded the course completion certificate on successful completion of the CISSP training in Bangalore, along with 32 hours of CPE’s certificate from Simplilearn. 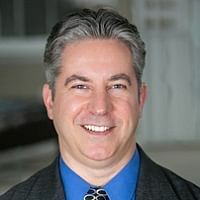 A CISSP certified trainer with over 16 years of experience conducts the online training classroom. This sessions are conducted via live streaming and includes global audiences. 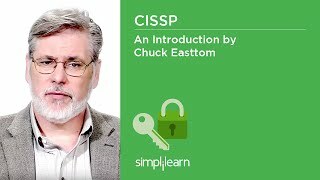 All CISSP online classroom training sessions are live. You can interact with trainers and students in this live classroom sessions. However, you are also provided with the recordings of all the sessions that you have attended for your reference. Headset, speakers, and microphone: Headphones or speakers are required to listen to the instructions clearly, and a microphone is needed to talk to others. A headset with a built-in microphone can be used or separate speakers and microphone can be used. What else will I receive as part of the CISSP training in Bangalore? To help you tackle the toughest exam questions, you will be complemented by our tips and tricks videos. You will also get access to our e-learning content along with the practice simulation tests. For the learning reinforcement, an online participant handbook with acknowledgments to the e-learning segments will be provided. The CISSP Exam will have between 100-150 multiple choice questions as it has been moved to an adaptive testing platform. The duration of the exam is 3 hours. Yes, assistance will be provided in the exam application process. However, if you have any query or concern with regard to the course, you can state them and get answers on community.simplilearn.com. In the CISSP Certification training, the hands-on learning approach bestows upon you the needed confidence to clear the exam and also retain the knowledge beyond the exam. Yes, cancellation of your enrollment can be done and you will be provided with the refund after deducting the administration fee. For more information, you can go through our Refund Policy. You can select our live chat link or contact us using the form on the right side of any page on the Simplilearn website. More details will be provided by our customer service representatives. What is the Certification Process followed by Simplilearn? Attending one complete batch or completing at least 85% of the course. Completing the simulation exams with the minimum passing score if your course consists of one. For the approval by our panel of subject matter experts, you need to submit a project. If your project is rejected, you will be provided with all the necessary help by our subject matter experts to help receive the approval for your project in the next attempt. With a relevant teaching experience of at least 10-12 years and 16 years of work experience in the field, our highly-qualified trainers are industry experts. A rigorous selection process including profile screening, technical evaluation, and a training demo will be undergone by each of them before getting certified for the training. We also ensure that the trainers who remain as our faculty will have a high alumni rating. To help you get the CISSP certification in the first attempt, our teaching assistants who are a dedicated team of subject matter experts are available to help. From class onboarding to project mentoring and job assistance, our teaching assistants proactively engage students to ensure the course path is being followed and help you enrich your learning experience. Even during business hours, Teaching Assistance is available. Through email, chat, and calls, Simplilearn offers 24/7 support. Our dedicated team will provide you with an on-demand assistance through our community forum. Also, even after the completion of your course, you will have lifetime access to the community forum. Bangalore, the capital of the state of Karnataka, is popularly known as the “Silicon Valley of India”. This is due to the presence of many of India’s major IT firms, as well as witnessing the growth of many startup companies over the years. Companies like TCS, Infosys and Wipro call Bangalore home. Given the high competition in this city, certified information security professionals are in high demand here. If you’re seeking a CISSP certification training in Bangalore, Simplilearn’s blended learning delivery model combines the convenience of self-paced online training with the personal motivation of live virtual classroom instruction, the reinforcement of relevant practical projects and the support of 24/7 live teaching assistants. Our CISSP certification training in Bangalore is crafted by experts to help you prepare for and pass the CISSP certification exam on your first attempt. This training program provides hands-on experience and gets you ready for security specialist roles in the industry. Simplilearn understands that a CISSP certification training in Bangalore is not just a milestone but the start of your journey on the path of continuous improvement. Make the most of your current or future security specialist career with an intensive training course for CISSP training and certification in Bangalore from Simplilearn.